When you are financing a home purchase rather than paying cash, you need to be prepared to pay some initial fees aside from your first monthly mortgage payment. If you are purchasing a newly built home, sometimes your builder will cover some of these costs as an incentive for buyers to purchase a home, finance it with a preferred lender and go to settlement with a preferred title company. Resale buyers are also sometimes able to negotiate with the sellers to pay some closing costs depending on local market conditions and the individual terms of the sale. When you arrange your financing with a lender you should receive an explanation of anticipated closing costs and a Good Faith Estimate. You may even see more than one estimate before you go to settlement, where you will see the final version of the HUD-1 Settlement Statement, a federally mandated form for all mortgage borrowers regardless of whether you are refinancing or purchasing a home. In general, the fees associated with a home purchase include closing costs, loan discount points and prepaid items. The amount you will pay in closing costs varies by location and typically costs between 2% and 3% of the loan amount. Closing costs are not calculated on a percentage basis, but instead are based on specific line items related to your loan application and lender fees. Unless you have negotiated to have someone else pay these costs, they are your responsibility to pay at the settlement. A discount point is equal to 1% of your loan amount. You may or may not have agreed to pay points for your loan in order to lower the interest rate. If you chose a loan with discount points, then you will pay the point or points at the closing. Most lenders require an escrow account to be established with your loan to cover your property taxes and homeowners insurance. Each of those bills will be estimated and then, as part of your monthly mortgage payment, you will pay a portion of those bills to your lender. When the insurance and tax bills come due your lender pays them for you. Lenders prefer this method of paying those two bills because your home serves as collateral for your mortgage. If you end up with a tax lien for unpaid bills or you lack insurance to make repairs or to replace your home if it’s destroyed, then the lender loses part or all of the collateral. On settlement day, lenders require you to pay into your escrow account a sum to cover part of your property taxes and homeowners insurance. In addition, you will need to pay for your first year of homeowners insurance in full. Depending on the day of your closing, you will also need to make a prorated payment for interest on your mortgage from the closing date until the end of the month. You may also be responsible for a prorated condominium fee or homeowners association fee. The federal government has revised the HUD-1 Settlement Statement multiple times and has made a Good Faith Estimate mandatory. If you have any questions or concerns about any fees you are expected to pay at your closing, you should consult your lender, your title company and your REALTOR® for an explanation. Are you looking for an agent that gets results? We have agents that specialize in Residential, Commercial, Investment, Foreclosures & Short Sales. You’ve crunched the mortgage calculators, estimated your tax payments, and taken a realistic look at how much house you can afford. 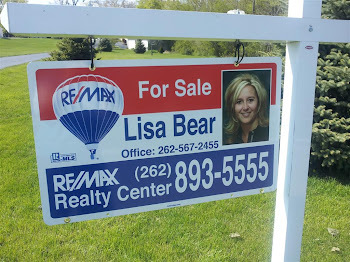 You’ve stuck within your range when scouring the realtor.com® listings, being careful not to bust your budget.